Let our experienced team help you with your Business Catalyst Project today! Our team has built over 150 unique Business Catalyst sites since 2008. We can provide you with expert programming or training and help you and your team learn everything there is to know about Business Catalyst! Do you have your website in html and need help integrating it into Business Catalyst? We can help you get it done in not time! Adobe Muse is a great tool for Designers wanting to build rich, interactive websites. We can help you take your Muse designs and turn them into dynamic sites running on Adobe Business Catalyst (BC) with features such as shopping carts, blogs, web apps and more. We can take your existing (or new) Muse website and upgrade it to a plan that includes all the Business Catalyst modules such as eCommerce, eMail Marketing, Blogs, Web Apps and more. With our experience in building sites on Business Catalyst and our knowledge of Adobe Muse we can turn any static Muse site into a dynamic online business. We found Karim Ardalan to be both knowledgable and accommodating. Specifically, his Business Catalyst expertise provided the missing link we needed to move from design to "going live" with our Muse designed Website. In this video you will learn how you can use Adobe Muse and Business Catalyst together, to take full advantage of advanced features such as the blogging module. Do you like the variety of responsive html templates available on ThemeForest? We can help you take any of those html templates and integrate them into a custom BC website. Are you looking to move your BC store to Shopify and it's modern e-commerce platform? We can help you get it done. We’ve migrated many Business Catalyst stores to Shopify and can you help you with all your migration needs. 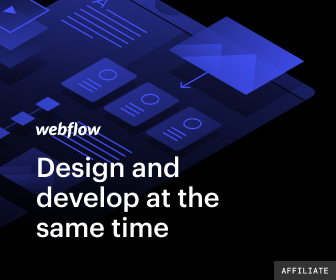 Webflow is an easy to use web-based platform that we love working with. You can design sites visually and create stunning custom responsive websites with ease. They also have a feature similar to BC’s WebApps but even more powerful and easy to use. The code Webflow generates is clean and they even provide a portal for you to manage all your project and client sites. If you choose, you can enable client billing and markup the hosting rates and brand the control panel with your own name and logo. Schedule a free consultation so we can show you the power of Webflow. Are you looking for a replacement for BC? Weebly Cloud might be a good alternative for you. With Weebly you design the sites visually in your browser with an easy to use drag and drop interface. In addition you can manage all your client websites, set your pricing and more in the Weebly Cloud Portal. Let us give you a tour of Weebly Cloud and show you how this could be the platform your move your websites to. Whether you are new to BC or an experienced partner, there is always more to learn about BC. We offer both in-person or online classes. Our experienced Business Catalyst Trainers will cover every aspect of the system that you wish to learn. Adobe is updating BC on a regular basis, the best way to stay on top of things is to attend our monthly webinars covering the new changes in BC. Need help building a new website in Business Catalyst? We love building sites on Business Catalyst! Hire us for your BC Website Today!